100&+ Drop-off Areas Near my Home. Quick & 100% Free Computer & Electronics Pick-Up. Premium Quality Service. Eco-Responsive. 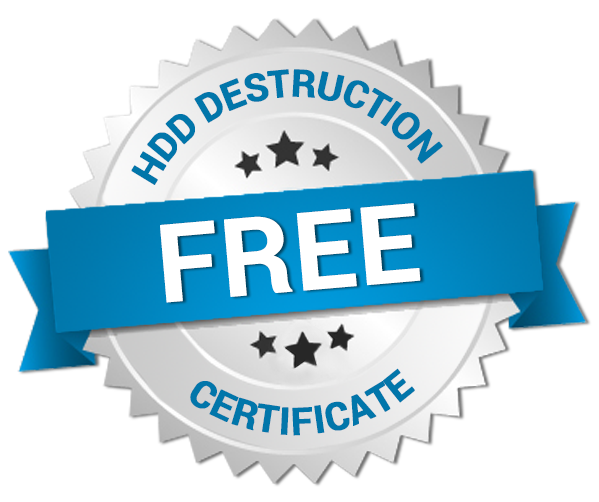 Free HDD Destrution Certificate. 604.563.1123 – 260 SW Marine Dr.
9-6PM 7 days a week Stat holidays 11-4 PM Christmas & Boxing day closed. How Recycling my Comupter & Electronics in Vancouver? Computer Recycling Canada offers businesses and homes with a simple and green solution for recycling your electronics everywhere in Vancouver British Columbia. End of life technology contains mercury, lead, and other hazardous materials that cause harm to the environment when not handled properly. 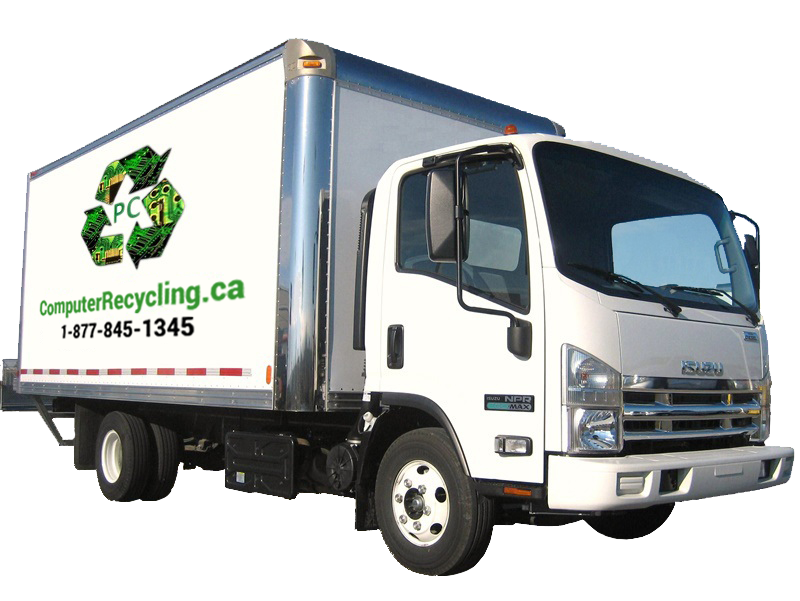 In most cases, we recycle electronics & PC free of charge using state of the art recycling processes in British Columbia. The process of electronic recycling starts when you fill-out our collection request form with the estimated quantity of materials for pick-up. 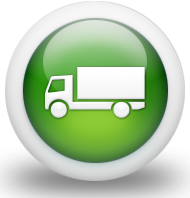 Within 48 hours, we are committed to confirming the date and time of pick-up that is mutually convenient. Every day, we send out our trucks to businesses and households across Ontario. Our friendly and reliable employees pick-up old electronic items for recycling from offices and homes. We accept all kinds of computers without exceptions pc, server, lcd, hard drive, board, old televisions, laptops, monitors, printers, copiers, telephones, and computer peripherals. 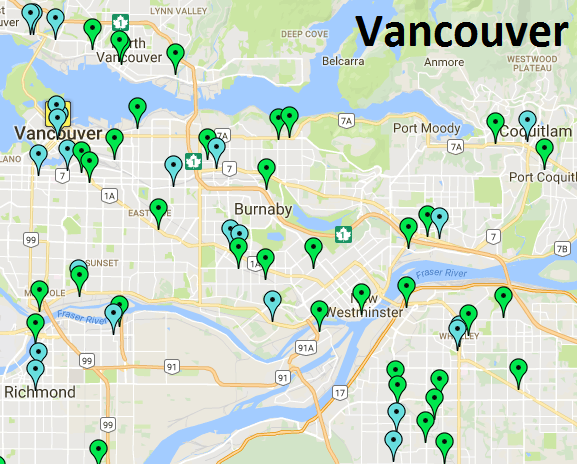 What happening to my electronics & computer disposal in Vancouver city? Once the materials arrive at the warehouse, experienced technicians do an initial sorting to separate equipment that are in working condition and qualified for resale from materials for dismantling for its metals. 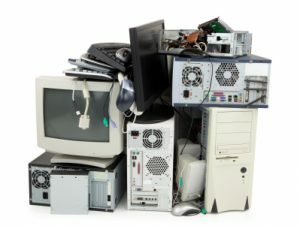 Generally, recycling happens in 2 stages, including the upgrading of computers and other electronic equipment, and the actual recycling of equipment. Items that are no longer functioning are recycled while working parts are rehabilitated. Dismantled component such as hard drives or processors are sorted by category. Materials that are considered good for reuse are tested using professional computer software programs. Rebuilt or repaired computers are optimized by increasing memory or processor speed and hard drive capacity. Refurbished equipment is made available to organizations or people who need them. Our people check the operating conditions of computers after collection to determine what elements need replacement and what can be recycled. The recovery of precious metals is carried out under safety standards to preserve the environment. You may be wondering why we are so earnest about our job? We are not only 100% committed to ensuring that electronic waste in Canada is reduced significantly. We also aim to be #1 in providing free computer disposal services in BC to businesses and homes in the province. This is because we believe in doing everything possible to keep the Earth green and conserve the resources we use to manufacture technology we need to power our world. we offers convenient and secure e-recycling services for businesses with free pick up directly from a warehouse or office. 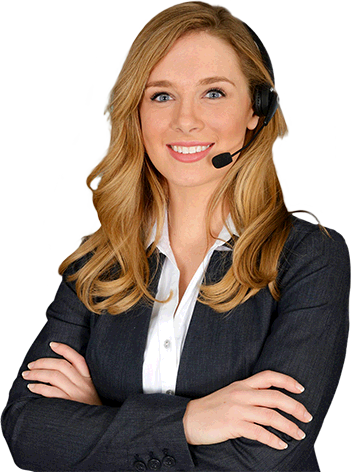 We also provide a free certificate of data destruction for your security and peace of mind. Do you have electronics for recycling in your offices? Schedule a free pick-up today and we are sure to provide you with a convenient schedule within 48 hours. We will be happy to hear from you today. Together, we can ensure your old electronics are disposed of properly, given a second life, or recycled responsibly. Computer For Recycling in Vancouver?